A deep silence swept over us as we made our way towards the ramp, adventure lay directly ahead of us in the form of a Southwest Airlines 737. I looked over at Te’Onna. I smiled at her as tears rolled down her face. I’d seen it all before, she was paralyzed with the fear and excitement of a first-time flier. After about two hours, curiosity took hold of her and she would peek across the aisle, by the time we changed planes, she was glued to the window seat discovering a new perspective at 20,000 feet. Joined by 7 others from the East Oakland Youth Development Center’s (EOYDC) pathway to college and career program, Te’ Onna was on the first step of an incredible life-changing experience. Determined to have an authentic New York experience, we spent much of the morning of day one traveling by subway. Eventually, we arrived at the American Express Building, the first stop of our New York adventure. We took in the view from inside the executive conference room, the students were awestruck by the elegance of the New York skyline, pointing out famous landmarks like the Statue of Liberty and 9/11 memorial in bursts of excitement. When Mr. Anre Williams, President of American Express arrived he was greeted with all the love and respect of a hometown hero. Not only was he an Oakland native, he was one of three Oakland High school attendees in the room. He captivated the group with his personal story of ascendance. 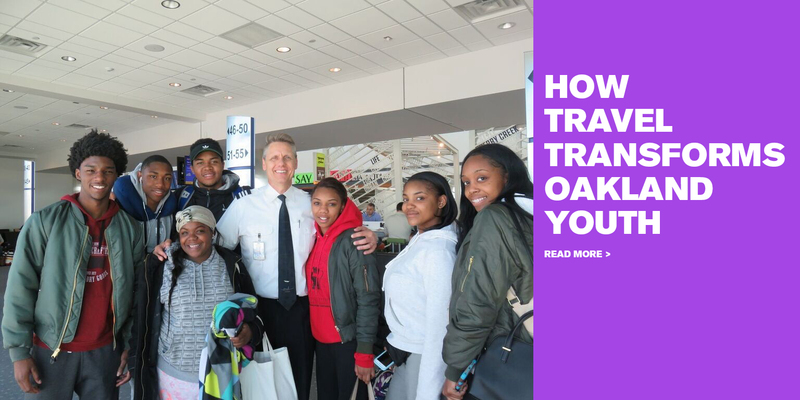 He especially connected with the two current Oakland high students who sat closest to him; they hung on his every word. From the same neighborhood and faced with similar life challenges, to them the Amex President represented a more personal victory. He was a symbol of success in which they could see themselves. 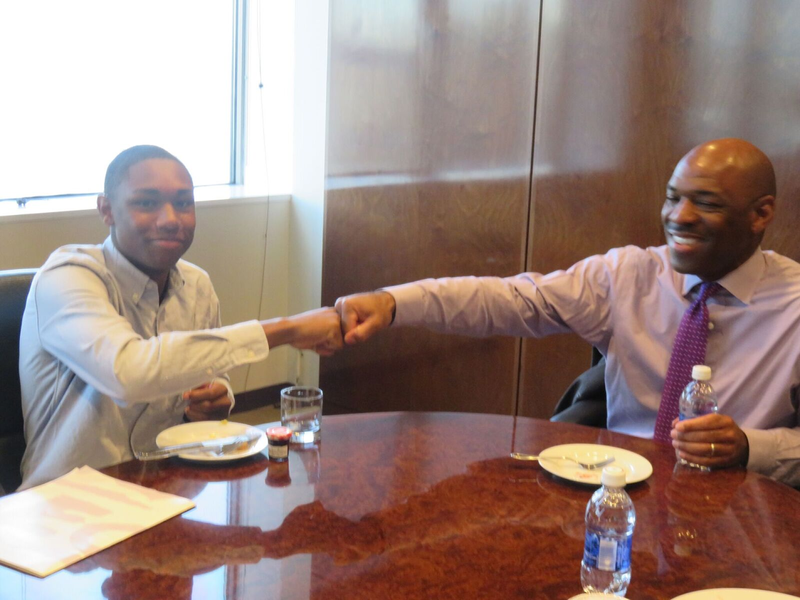 Morgan said, “After the briefing, I felt inspired and motivated to follow on his path of success and financial stability”. Brandon eagerly extended an invitation to speak at their school, which Mr. Williams happily accepted. I took comfort in knowing the brotherhood of first-generation college graduates would soon have 2 new members. Amex left a buzzing mood of goal-driven hunger and optimism on our group heading into our meeting with Tashawna Smith, a diplomat and Spelman grad at the US Mission to the United Nations. We learned about the honor, responsibilities and even the perks of working on behalf of our country. “I did not know I could consider peacekeeping as a future career choice!” Natalie exclaimed. I smiled to myself, barely halfway through the first day and they were already starting to discover the great potential that I’d already witnessed within them. Later that day we visited NYU, upon arrival Morgan proudly announced that he planned to attend NYU and become a hedge fund manager. My mentee for the past 14 years Dominique Drakeford, was waiting for us. 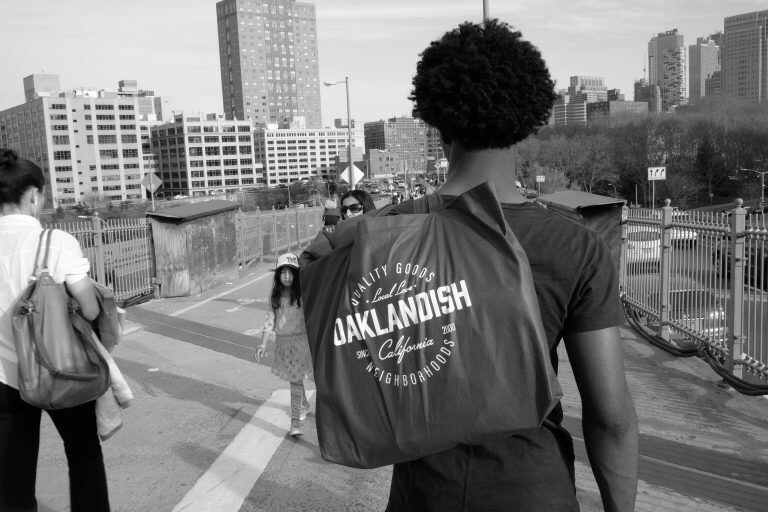 A recent NYU graduate student and sustainable entrepreneurial fashionista, she shared that the open campus, much like her line of work, reflected a flexible approach allowing for individual major design if the traditional one didn’t fit their intended focus. She drew the correlation between the open campus lifestyle of NYU and her approach to her business and the sustainable fashion industry. In true EOYDC alumni fashion, she spent the rest of the day with us. Her energetic presence and “big sister” personality left us full of enthusiasm for the adventures that lay ahead. VIP audience participation on Good Morning America had us up bright and early for day 2. For Brandon, an aspiring photographer, the behind the scenes exposure was a priceless glimpse into future possibilities. The staff gave us a tour of the studio and a crash course on the inner workings of a broadcast such as lighting and camera angles. Richmond, CA’s very own Cecelia Vega gave us a warm Eastbay welcome and we later took pictures with GMA Anchor, Robin Roberts. After a star-studded morning, we confidently made our way from downtown Manhattan to Harlem, the birthplace of our renaissance and the stage for the rest of a magically transformative day. Up first, the NBA Players Association (NBPA). The NBA and EOYDC have an ever-growing partnership in driving youth towards success and many EOYDC alumni have found their way to the NBA whether it be in the office or on the court. We heard from Kevin Tucker, the Director of Security and learned many of the ins and outs to the business side of basketball. My students interested in careers with the police department noticed that many themes crossed between the NBPA approach and their career goals. Brandon shared “before this trip I never knew anything about the NBPA, why they were formed or who was on it as a basketball player, I have learned so much about a sport I love”. Next, a historical perspective on Malcolm X and Betty Shabazz’ life was provided by a visit to the Education Center of the same name. Students were impressed to hear stories of Malcolm X’s phoenix-like rise in spite of his challenged upbringing and to sit in the very ballroom where he was assassinated filled the students with a haunting sense of responsibility. “I was speechless,” stated Cameron. Their ideas and curiosities were ignited as they learned about the impact of this global leader. They were affirmed by his quote “Education is the passport to the future, for tomorrow belongs to those who prepare for it today”. A media overview and lunch was hosted by my childhood friend Michele Thornton, who was recently named Senior VP for Ad Sales at Centric, a BET Viacom Company. She also is a new author of the book, Stratechic. 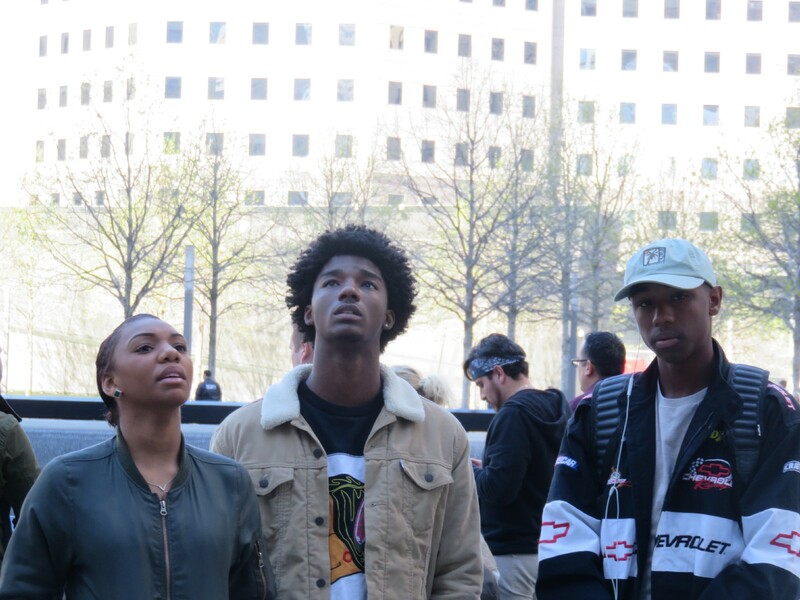 For the second time in 3 days, our students entered a high rise conference room where they could see Times Square from an elevated perspective. In addition to Michele, we met Nicci Gilbert, singer, and producer of hit BET show, “From the Bottom to the Top”, Lucia Ashe, fellow producer and niece of tennis legend Arthur Ashe, and briefly Louis Carr, President of National Media Advertising at BET Network. We engaged in a discussion where each speaker shared their advice for business and personal success. Michele said, “if you don’t build your dream, someone will hire you to build theirs”. One student, Kianna, was brought to tears just listening to the professional wisdom that was being shared. “My eyes were opened. I was inspired and moved by so many people that make a difference in their careers, I will be next!” she exclaimed. We spent a few hours shopping on Canal Street and in SoHo prior to our final event, BET Upfront. 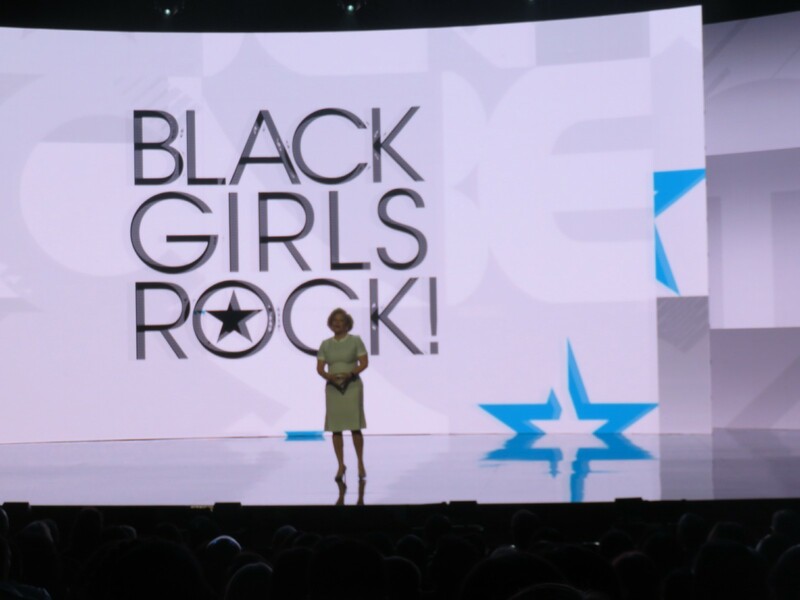 BET Upfront is the star-packed showcase presenting the fall lineup of Black Entertainment Television (BET) shows. The event ended with a surprise visit and performance by Alicia Keys. 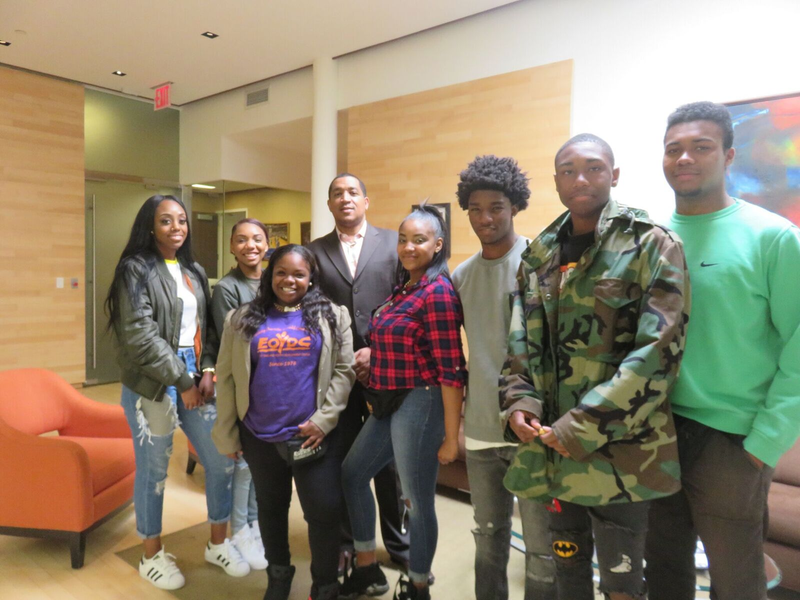 Although there were a plethora of stars, the kids were each floored when they met civil rights royalty, Ilyasah Shabazz, daughter of Malcolm X.
I designed the EOYDC college tours to open doors for multi-faceted exploration. 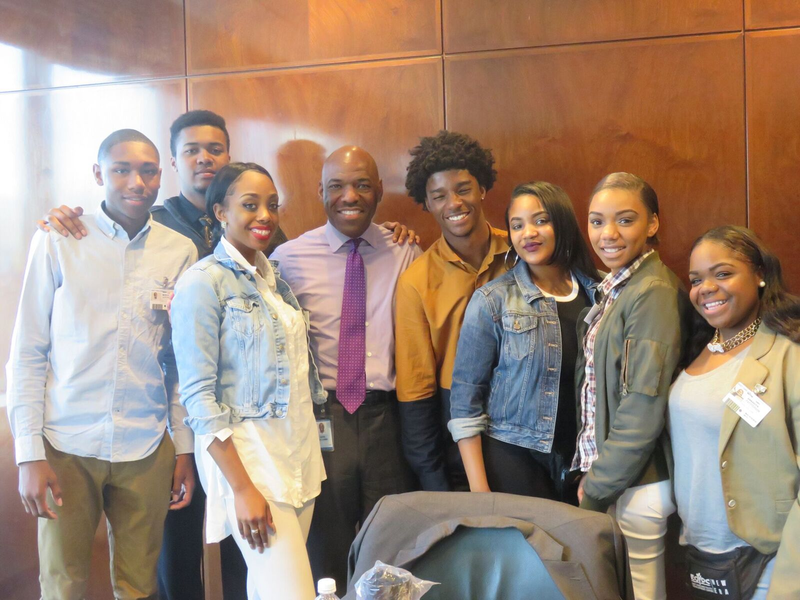 At EOYDC, we know that many of our kids are restricted to their zip code and rarely move outside of it. 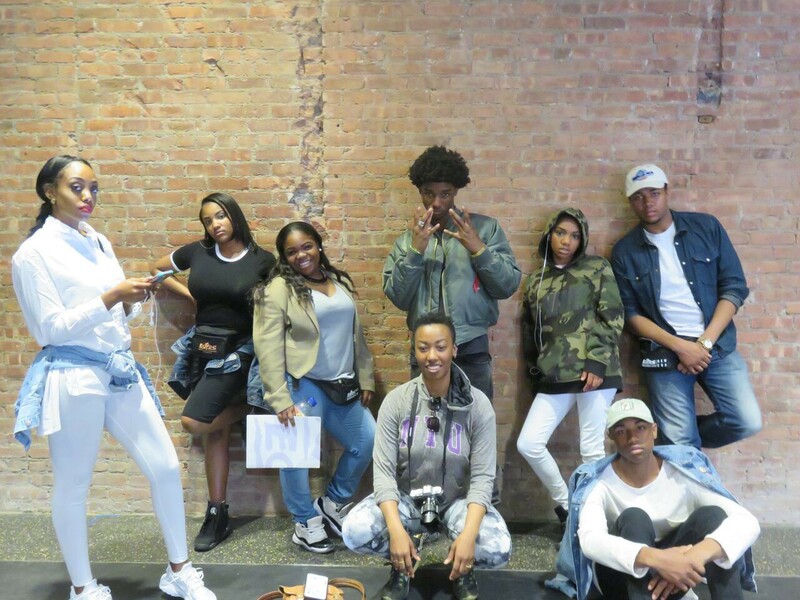 We plan our tours with this in mind, creating unique experiences for students to see through college to careers by exposing them to campuses, professional briefings and EOYDC alumni who attend the schools we visit. Key to our success, alumni voices help to establish networks, calling upon personal experience to give a real sense of campus life. Sharing stories of challenge, opportunity and triumph they arm our young scholars with the ammunition to annihilate any stereotypes and all oppositions to success. “You never know how successful you can be in life until you see someone who looks like you do it”. TeOnna noted. We know that when you change a person’s perspective you can change their life. We are thankful to Southwest Airlines for sponsoring this special opportunity to transform these students. “Exposure and opportunity provide youth a window into their future and their potential for success” this is how travel transforms!